The mission of The Teacher's Community Lounge (TCL), Inc. is to provide a stress-free space away from the schoolhouse where educators can collaborate, plan and relax. We are seeking to serve as a community resource providing low-income families with educational and therapeutic resources to cultivate productive members of society. To host charitable events and fundraisers relating to causes important to the organization. 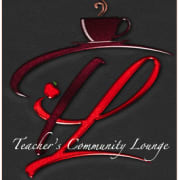 Would you recommend TEACHERS COMMUNITY LOUNGE INC?